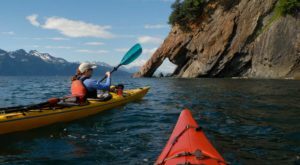 North of downtown Juneau lies a beautiful place for beachfront camping. Eagle Beach State Recreation Area is rich with animal life, especially the American Bald Eagle. 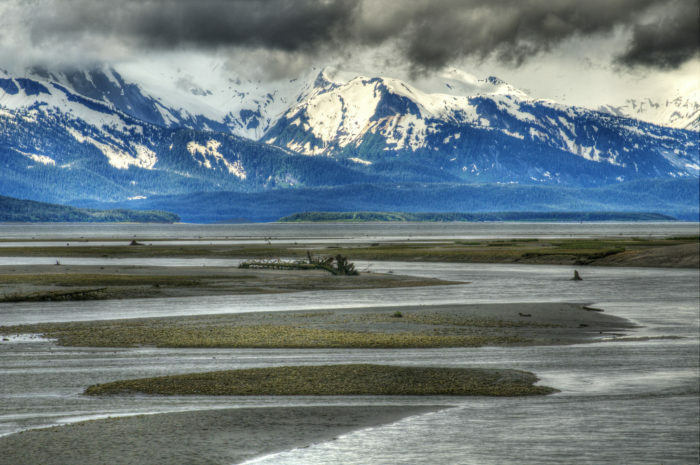 In the summer, the tidal flats are alive with salmon and everything that eats salmon. 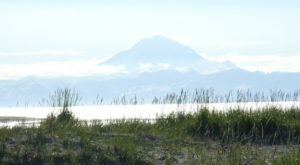 There are several mountain ranges visible from the sweeping estuary, and the campground is right nearby. 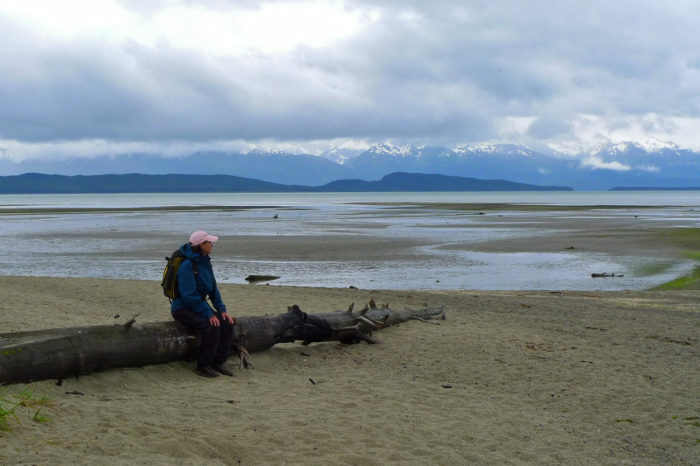 Head to here for excellent beachfront camping this summer near Juneau. 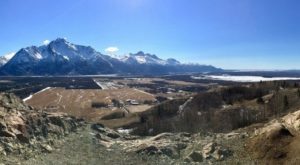 If you need a break from the hustle and bustle of the Capital City, drive to this place north of the city and relax in the quiet natural beauty of Eagle Beach. 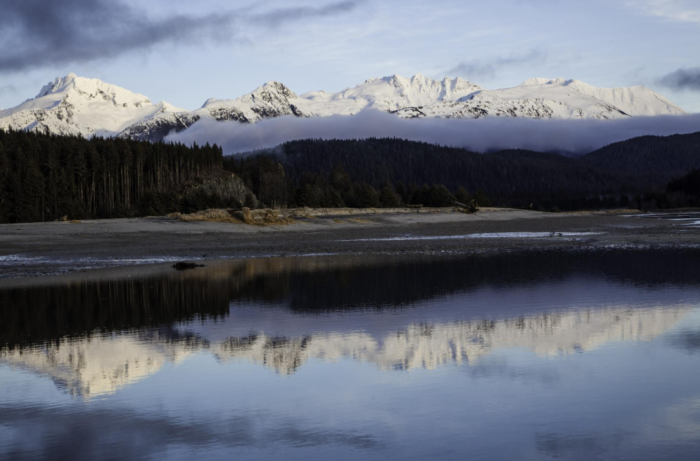 From the Glacier Highway, there are three entrances to Eagle Beach that are all between mile 26 and mile 27 north of downtown Juneau. 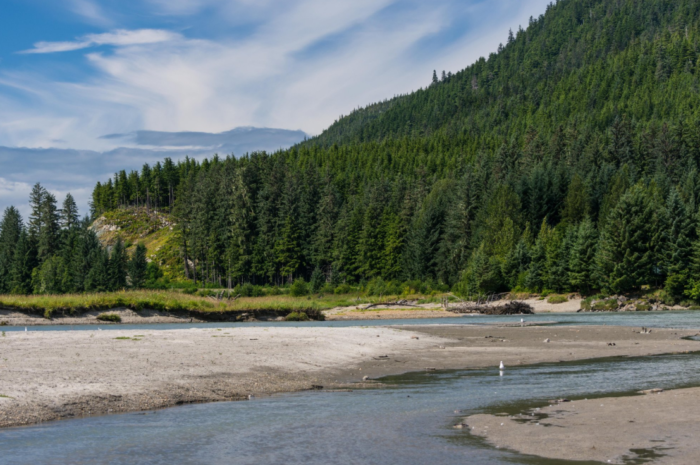 This excellent beachfront campground lies where the Eagle River spreads out into the estuary. The tidal flats are filled with wildlife, especially American Bald Eagles. From late June through early August, the beach is ripe with salmon, and animals who flock to the buffet. 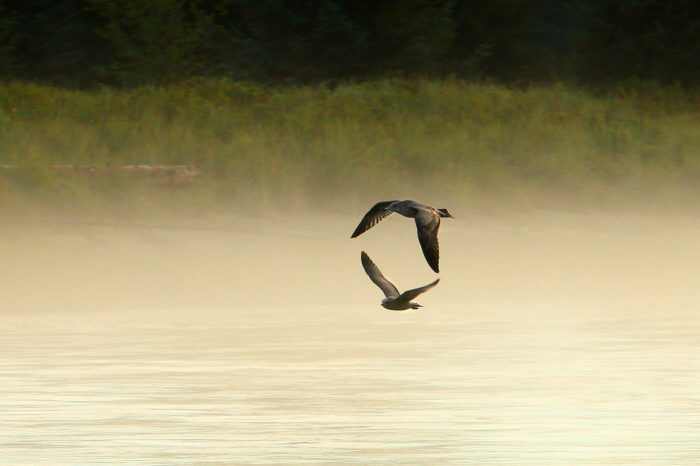 When staying at the campground, you'll wake up to the sound of eagles picking their way over the tidal flats. 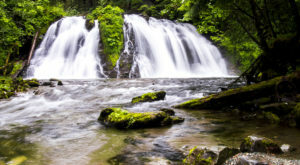 There are 16 camping spots and more available if you are willing to walk deeper into the park. There are trails to enjoy across the shoreline. 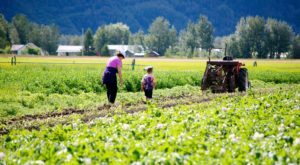 From the beach there are stunning views of Lynn Canal, the Chilkat Mountains, and the Juneau Mountains. Wildflowers bloom in the summer months along the shore. 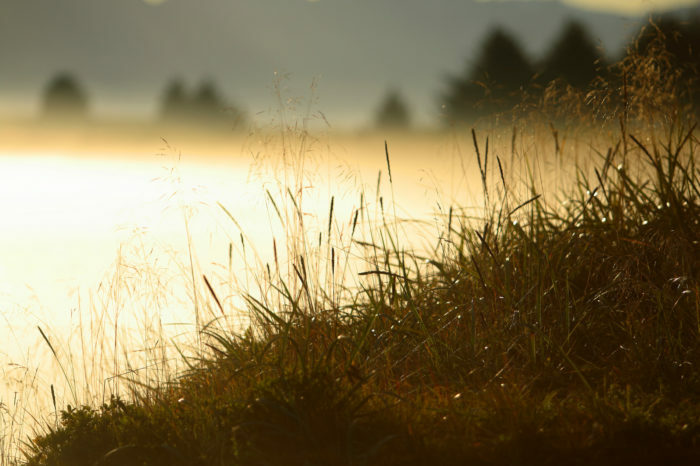 Eagles aren't the only wildlife that are attracted to the estuary. 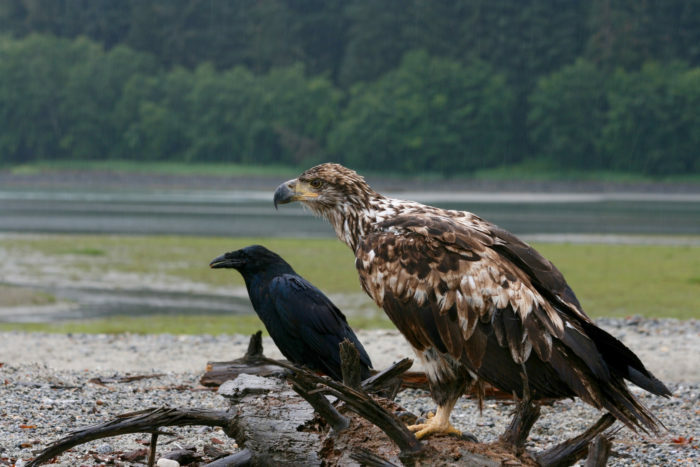 Hawks, ravens, Alaska brown and black bears all come in the late summer to fill their bellies with salmon. Watch the beach and the wildlife all day. 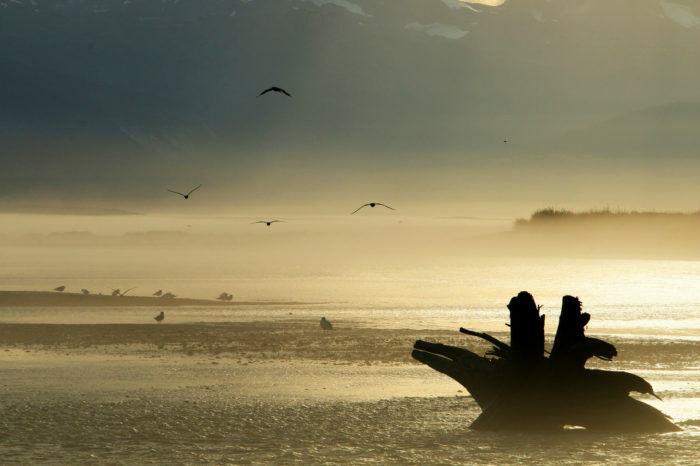 The tidal flats are crawling with birds of prey and whales, sea lions, and seal frequent the ocean nearby. 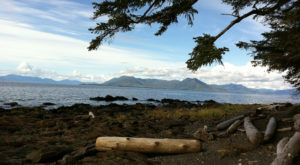 This spot is perfect for beach combing, fishing and relaxing in the beauty of southeast Alaska. The campground is accessible to everyone and relaxing on the gently sloping beach is a perfect way to spend a summer day. 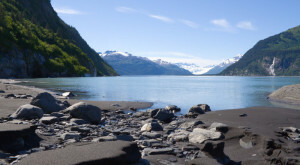 Spend the weekend at Eagle Beach State Recreation Area for a wonderful beachfront campground in Juneau. You'll feel as free as the eagles that soar overhead. More information about Eagle Beach. 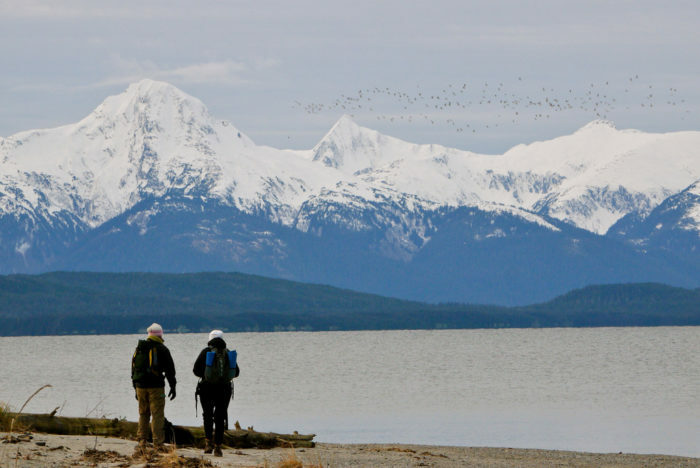 If you love eagles and beaches, Hundreds Of Bald Eagles Flock To These Alaska Beaches And You’ll Want To See It For Yourself. 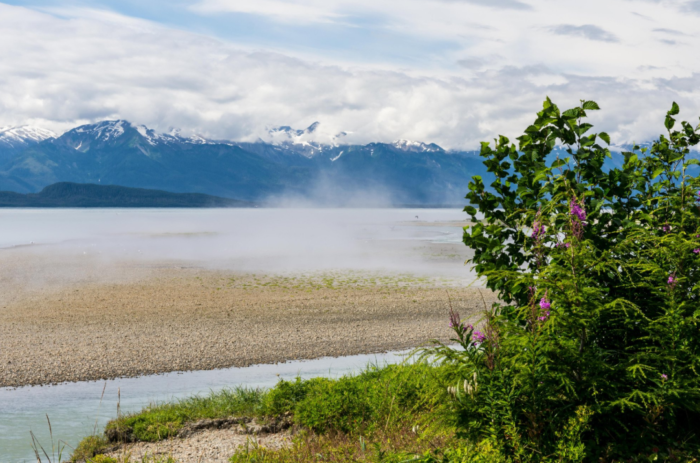 What’s Hiding At This Alaska Beach Is Unexpected But Completely Fascinating and you’ll want to see for yourself. 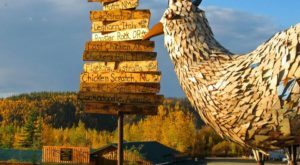 Have you been to Eagle Beach? Tell us about it in the comments below.